One of the most irritating things in a person's day may be the unwanted phone call. The nuisance or annoyance call can be disturbing, and it always seems to come at the most inopportune time. There are a number of steps you can take, however, to limit or eliminate nuisance calls entirely. Get your home, business and cell phone numbers on the federal Do Not Call Registry. To put your number on the registry, go to www.donotcall.gov, or call (888) 382-1222. The government created this registry in 2003 to allow consumers to stop telemarketing calls. Putting your number on this list will stop most, but not all, nuisance calls to your home. The National Do Not Call Registry applies to any plan, program or campaign that sells goods or services, or solicits customers. It does not limit calls by political groups, charities or telephone surveyors. Ask telemarketers to take you off their call list if they continue to call you 31 days after you have put your number on the Do Not Call Registry. If they continue to call, you can file a complaint with the Federal Trade Commission. You will need the date you got the call, and either the name or phone number of the company that called you. Go to www.donotcall.gov to file a complaint. Inquire with your phone company about services that are available to help you screen calls. One of them may be priority ringing, a service that allows you to assign a special ring to up to 10 numbers from the calls you most want to answer. The rest are then routed to voice mail. Another service available from most phone companies is caller I.D. This allows you to see the names and numbers of your callers, and you can choose whether to answer the phone or not. 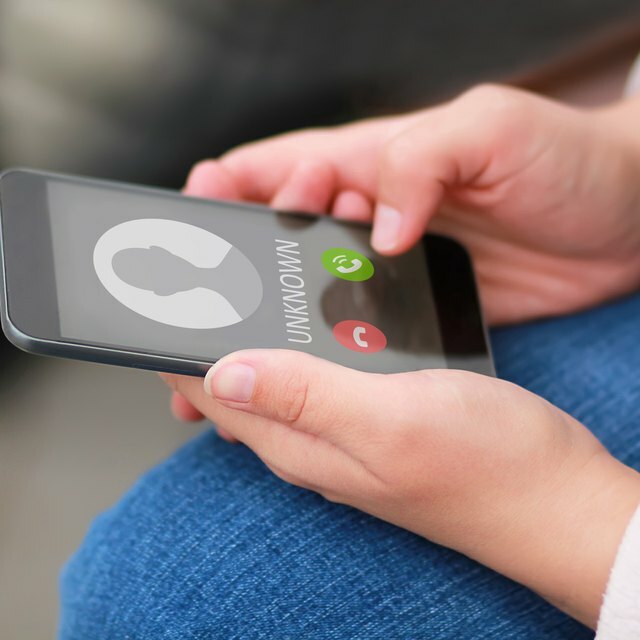 Contact the business office of your local phone company to find out what its policy is for dealing with obscene or threatening calls if you are getting them. Some companies advise you to file a report with the police. Other companies will set up a trap or call trace on your line to help you identify the caller. Try hanging up on the caller first if you want to try dealing with harassing or obscene calls on your own. Do not engage in any conversation. You can let your answering machine or voice mail screen and pick up all calls. Get a second line with a new number, leave it unlisted, and give it out only to people you trust. Notify the phone company in writing not to give the number to anyone. Use your old number to record the calls of the harasser, and keep those calls as a record to give to the phone company or the police.